Wow we are so excited to see the new Spark Drone from DJI! Previously introduced Intelligent Flight Modes such as TapFly and ActiveTrack can also be found on Spark. 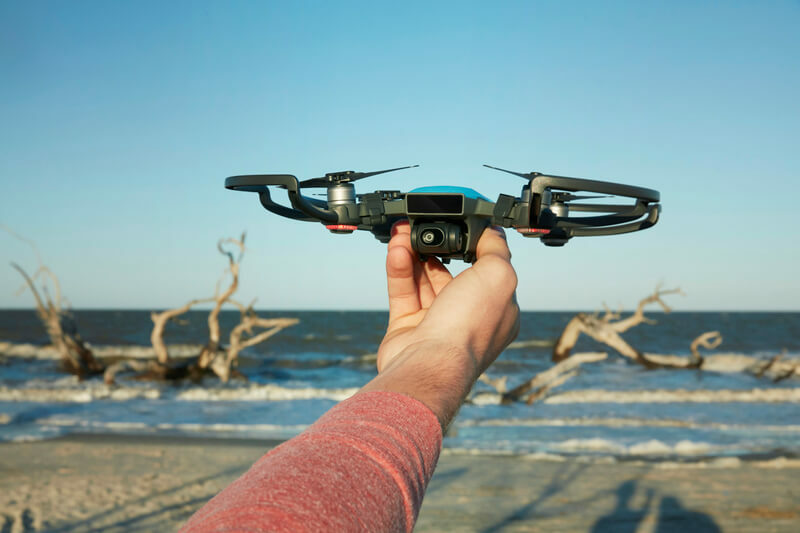 Developed based on DJI’s vision technology, a new TapFly sub mode called Coordinate allows Spark to fly to a location you tap on your mobile device screen. TapFly’s Direction Mode lets you keep flying in the direction you tap on the screen. Using ActiveTrack, Spark will automatically recognize and track an object you choose, keeping it at the center of the frame for perfect shots of objects in motion. Whether you are using TapFly or tracking a subject, Spark’s 3D Sensing System will actively sense obstacles in front of the aircraft. With the remote controller accessory, operators can switch to Sport Mode and unleash Spark’s speed potential of up to 31 mph (50 kph). Sport Mode sets the gimbal to first-person view (FPV) by default, so the camera moves with you as you fly. Spark will also be compatible with DJI Goggles for an immersive FPV flight experience. Spark houses an impressive camera with a 1/2.3” CMOS sensor that captures 12 megapixel photos and shoots stabilized HD 1080p videos. Spark’s 2-axis mechanical gimbal and UltraSmooth technology dramatically reduce shake and rolling shutter effect to capture cinematic shots effortlessly.